The European Association of Fruit and Vegetable Processors have reported another tough summer season for Europe’s vegetable crops. In the North of Europe a very warm and dry summer with lack of rain since May is resulting in lower pea,corn, and potato yields. In addition winter lasted longer than usual and the spring was very wet which delayed plantings. In Europe’s South growing areas there has been too much precipitation which has hindered crops there. In general the extreme weather conditions around Europe will lead to losses in yields and quality. Hungary as well as Belgium have reportedmajor pea, corn and potatolosses. The North Western European Potato Growers Association has now reported that the extremely dry weather will affect the potato yields. It has now become clear that damage to Europe’s potato harvest will be dramatic with much lower yields and many quality issues. This has been caused by the extreme drought conditions and high temperatures. We are hearing that potato yields are reduced by as much as 25% and this number could go up. Potato growers are having difficulty delivering contracts to processors and open market potato prices have skyrocketed to almost 10 times as much as last season. This will mean higher prices for the foreseeable future for Europe’s processed potatoes. As well The Potato Processors Association of the United Kingdom have announced that there will be a significate reduction in potato yield and quality this season due to the extreme dry weather and heat. Europe’s recent weather patterns has also affectedfruit. In the case of Serbian raspberries, frequent rain in springtime will result in lower quality fruit and cooler weather in Greece has affected peach yields there, while Italy will suffer a poor Kiwi season due to frost back in April. It has been an unusually warm and sunny summer in the Pacific Northwest and crops came on quickly.Green Peasarrived fast and furious causing the season to begin early and end early. Some manufacturers had a difficult time keeping up with the crop and some peayields were lost. A few suppliers report good yields and for the most part budgets were met, however the pea market is firm due to struggles in the Midwest and Europe. Both Midwest processors and European processors are looking to buy peas. Sweet Corn season began sooner this year as hot weather (triple digits) in growing regions of Eastern WA and Oregon moved the crop along quickly. Corn season has been in full swing. The weather has cooled off somewhat and reports are coming in that the season is an excellent one with high quality and good yields. Price movement on all Northwest vegetables are going up, not down, based on higher operating costs as well as demand from Europe. Colombia Basin processing potatoesgot off to a rocky start with triple digit temperatures. We may see some quality problems, however weather has cooled off and the verdict on damage to yields and quality is still out. Most are reporting a good season with average yields. Green Bean production in the Northwest region is completed. Reports are an overall good season with slightly below average yields but excellent quality. Harvest conditions in the Midwest region have been up and down. Excessive wet weather and then extreme heat reduced yields on peas.Sweet Corn season has been in full swing with over 50 % of the season completed. Yields are running slightly down due to earlier season rain. New season broccoli in full swing. To date all conditions are good with excellent yields and quality. Rainy Season continues in the Bajio Valley of Mexico and broccoli and cauliflower now being pulled from the Northern highlands in Guanajuato and Puebla. Average volumes and quality are reported. Peak season in the Bajio Valley for broccoli and cauliflower will commence October/November and the outlook is for an excellent season which will run through March/April. 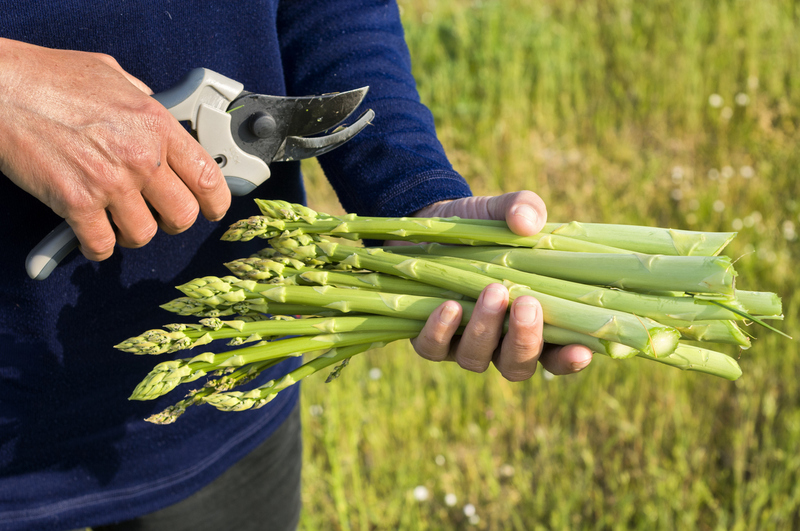 Asparagus season will commence this month. Temperatures in China are beginning to go down, however heavy rains caused by typhoons in Jiangsu and Shandong province has severely affected the broccoli crops in these two regions. Edamame production is completed. It was a shorter season this year , however quality is reported as good and prices increased due to shortage of raw material. Sweet corn season has begun and prices are low due to large inventory. Broccoli and cauliflower growth conditions look good to date. Okra harvest will finished middle of September. Quality and yields are good, however domestic demand towards the later part of the season has led to some price increases. Autumn crop edamame will commence end of this month through October. To date the crop looks healthy. Edamame production will finished middle of this month. Production output is more than last season and quality looks very good. At the later part of the season domestic demand picked up which lead to some price increases. Previous PostPrevious Drought Conditions in Europe Worse Than Expected! Next PostNext Do You Know What Clostridium Perfringens Is?